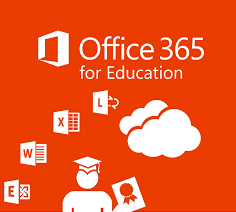 Awarded to selected Microsoft Educator Community Members for demonstrated MIE Expert or Trainer achievements and dedicated time to work with Microsoft and educators to transform classroom learning. 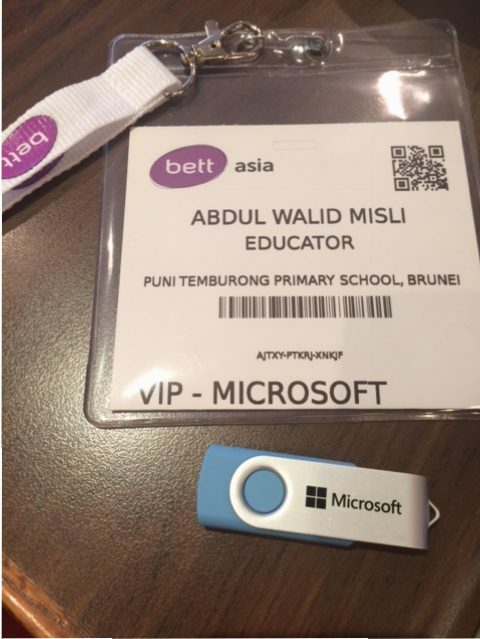 I was privileged to be at (3rd) Bett Asia Leadership Summit 2016 as one of the guest and official representatives from the Ministry of Education, Brunei. 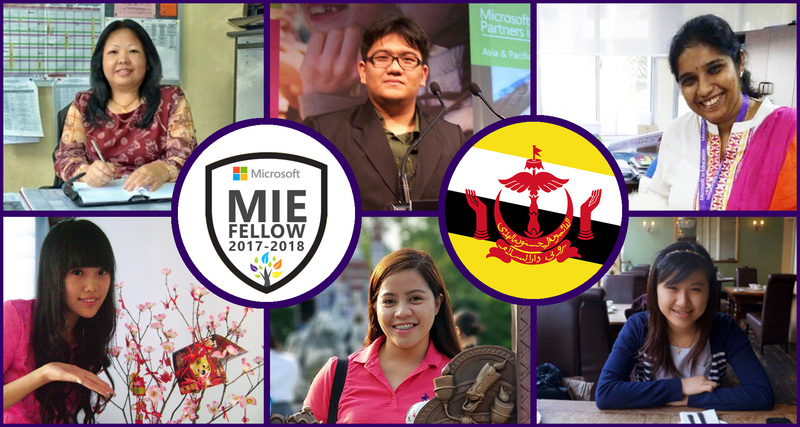 I’m so thankful to Microsoft (Brunei) and Microsoft Asia Pacific in nominating and sponsoring me to be at the most rewarding and eye-opening experience. I’m writing this brief experience on the event that was held at a luxury and beautiful Mandarin Oriental hotel in Kuala Lumpur. This is my personal proud experience, I advice and encourage you to join, participate and attend the next Bett Asia! BETT or the Bett Shows as formerly known as British Educational Training and Technology Show is an annual trade show (expo) that showcases edu-technology in education. 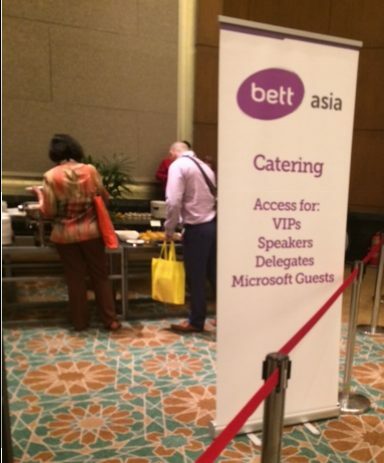 Meanwhile, for Bett Asia it is localised in Asia that attract majority of the visitors around the Asia region. 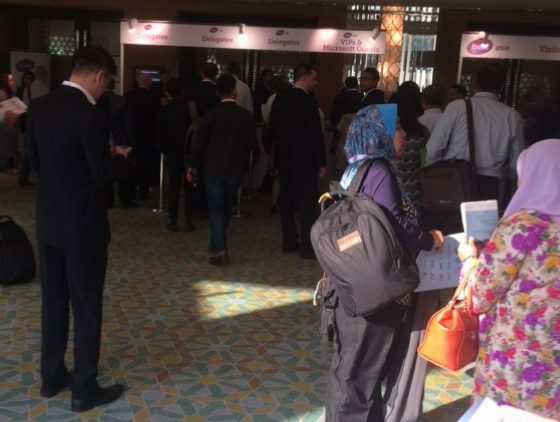 However, the exhibitors and the session held at the summit and its expo are not only from Malaysia or Asia, but it is backhanded with global perspectives and beyond. 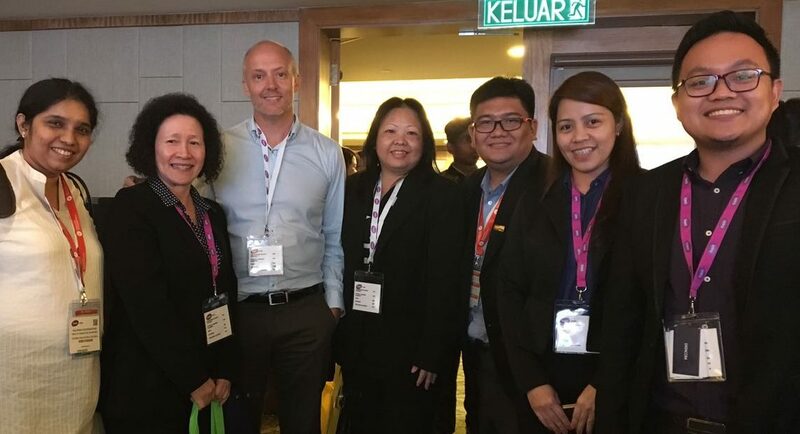 It’s a collective of people from various roles such as policymakers, researchers and most forward thinking educators in Asia. This is my first time to visit Bett show. Prior to the day, I’ve been reading diligently on their website and asking friends who has been to the past events. The more I learnt about it, the more I get nervous and excited. I did questioned myself as a Primary educator from a public primary school in Brunei, am I the right guy to attend this summit/expo? I felt very overwhelm to be chosen to participate in such phenomenal event. Microsoft kindly hook me with a VIP pass, which gave me access to a) Leadership summit, b) School Leaders Academy, c) Teachers Academy, d) Expo and e) Catering. However, as sole representative from the government school and a teacher of K-6, I was deem to attend the School Leaders Academy or Teachers Academy session. I chose to attend the School Leaders Academy as I wanted to learn more on School management and tools that can benefit me as an ICT Program Manager in my school. 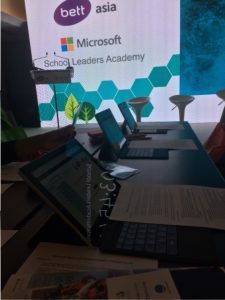 I’ve been with Microsoft Educators Program since 2011, so I believe I have strong capacity in Innovative Pedagogy with Microsoft tools, so attending the Teachers academy will might give me few new insight only. Other than that, Leadership summit will be attended by another government official from the Department of Schools, MoE Brunei and a lecturer from Politeknik Brunei. So I think, we from Brunei government representatives got the right cover of these summit and expo. With this writing, I can only review the School Leaders Academy and the Expo. Registration and getting your welcoming pack was fast and easy. There were long queue but it was very swift. The registration booth was packed with laptops and printers that print our pass very smoothly, efficiently and in innovative fashion. I saw the registration peeps were very happy packed with smiley faces. They were really enjoying printing those hundreds of passes. Me with other representative teachers from private schools in Brunei was among the first to enter the SLA room. Yeap, we were very eager to get started. Technically, the room was fitted with huge bright awesome screen. I love it! As Microsoft being the worldwide partner, we were welcome with free goodies. Isn’t that a sweet welcoming gestures. On every group table, we were supplied with 3 Microsoft Surface for us to use during the sessions (Day 1 and Day 2). At this point, I still have no idea what I’m getting into. I did asked Felicia Brown, if I was in the right room. Totally newb! Eve Psalti, the Director of Education Programs worldwide Education, Microsoft; welcome the morning with Why Microsoft cares about leadership in Education. With her fruitful welcoming speech, at that moment I understood the important of me being there. I found reasons and being in a government schools requires a lot of determination, bravery and empowerment. I believed and agree on all the things she said on the need of Education Transformation, between Leadership and Policy and 21st Century Pedagogy needed to be strongly upgraded. 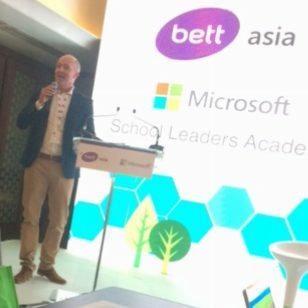 Mark Sparvell, Microsoft’s Senior Manager, School Leader Audience Strategy in Worldwide Education at Microsoft Corporation also spoken about the reasons of leadership plays important roles in education as he was also a school leader. He believed building teacher’s capacity by using digital tools and solutions are keys in strengthening 21st century pedagogy in schools’ classroom and education transformation. He asked us to play with the Surface containing the SLA program in OneNote, and insist sharing it with others. The day continued with representatives of Education Changemakers (eC) that shared tools and case studies in leveraging collective geniuses to provide best solution in everyone’s unique challenges. The Education Changemakers speakers were Aaron Tait, Co-founder of eC and Louka Parry, the Director of Programs at eC. With them, we learnt about how to be a practical change maker in our very own schools. They facilitated us to collaborate with one another as no ideas are bad ideas. We were in the very positive zone/ environment. We think clearly with open mind. They brought us through leadership tools via Introspection, Inquiry, Inclusion, Innovation, Implementation and Insight. 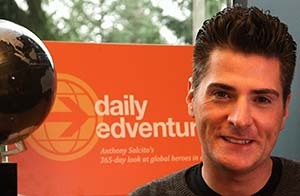 The 1st day was specially ended by Anthony Salcito, Vice President – Worldwide Education, Microsoft – USA. I was captivated by his speech (always been). I like him as he is passionate and had brought thousands of educators worldwide over the years together. It’s not my first experience to see him in front of me, but this was the closest ever! He made me, us, feel worthy to be as an educator in this 21st century. Educators specifically myself sometimes feel under appreciated, but Anthony is different. He understand us. He lift teachers like me, and being simply like that he always inspire and renewed our passion with bigger energy to be more and do more in education. I really wish I can get more opportunity to know him in person, play xbox and have coffee in Seattle. Oh, we get the chance to get a group photo with everyone! That is sweet; find me! The 2nd day is more towards 21st Century Pedagogy in schools. How we can share leadership vision to the rest of the teachers in the school. We also continue to collaborate with other participants to provide solution on the HOW questions. It was great! I wish it was 3 days than being 2 days. Yet, it was better to have 2 days than 1 day. 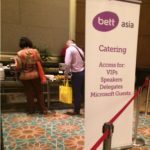 Thank you Bett Asia! The Expo is the most popular aspects of the event! The exhibitors were awesome. As a teacher teaching in Primary schools, there were a lot of solutions that I wish to share to my country. 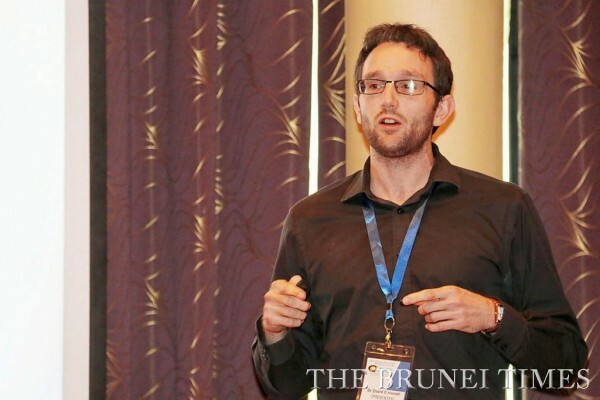 They are great tools, technologies and curriculum that can be introduced in Brunei’s public schools. I’m thinking about my pitch and proposal while writing this down! I wish I could share in details about it, but it is way too many. 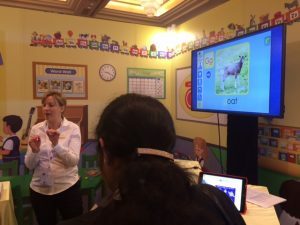 Tho, my favourite exhibitors that are applicable to government schools (apart from Microsoft education tools itself) in Brunei are BinaryLogic for their fresh curriculum that can renew our ICT curriculum in Brunei; Age of Learning an ABCmouse.com Early Learning Academy and 3P Learning’s solutions for engaging and interactive learning resources (Math and English Literacy) to young children in Brunei. The EXPO exhibition area also accommodated Learn Live Theater that shows interactive demonstration and presentation; Great British Classroom and Trade@Bett. 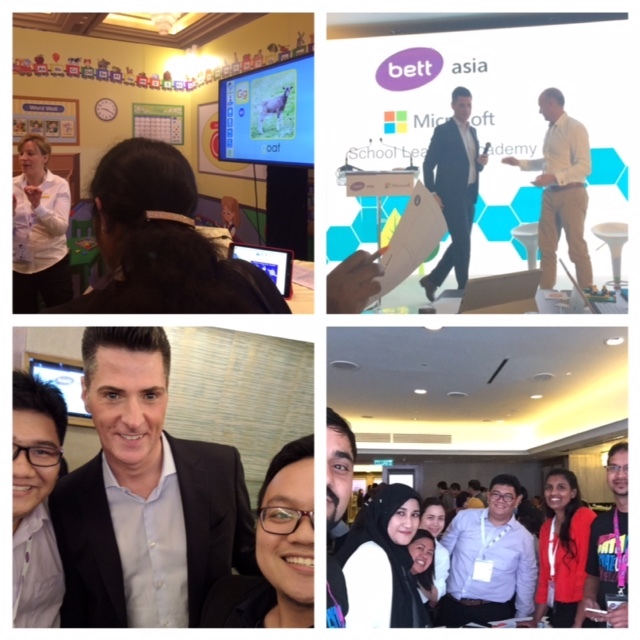 Opportunities meeting with past Microsoft innovative educators/friends across ASIA and creating new friends too. It’s not only about getting the chance to hang out with amazing educators, we also connected and collaborated ideas, designing solution to our unique challenges. We found more similarities than differences among us. I was so grateful that my ideas were taken as solution to other educators that I just met from other countries! I also received feedback on how to improve for my school. 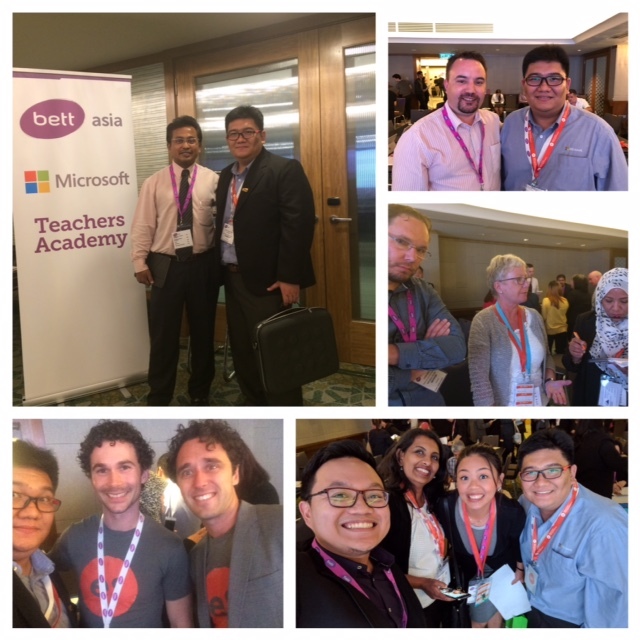 I got the chance to meet my fellow Microsoft Educators Experts from Malaysia, Philippines, and New Zealand! It was a great opportunity to catch up with them on what they have been doing in the busy-education world. Trying out the demo that are strange and new at first, but in the end it was the very awesome and practical tools that can be use in classroom. 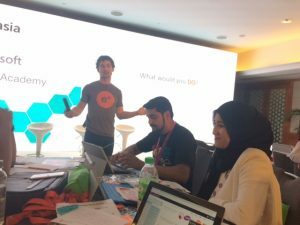 Hopefully, we can get some of the tools in Public schools in Brunei! The catering as to the lunch provided was very delicious. Really delicious, and I personally appreciate the healthy yummy foods. The hotel breakfast that comes with our stay was awesome too!! The hotel is awesome, my room was awesome, the hotel people was nice and friendly. The city and surrounding area is beautiful. I love the quick shopping nearby like Suria KLCC and Bukit Bintang area. Yes, Bruneian like to shop when they are oversea. The location was too perfect! More time to discuss with other teachers/leaders during the School Leaders Academy session. As an educators we like to talk with one another and to discuss solution. I felt we need more time to deliberate our thinking and discussion during some of the group/peers activities. One extra day for the Expo. Most of the time as an attendee of the workshop, we spend most of the time in the room. We only have few hours left to spend at the expo. We do felt we were rushing. There were many people, and its quite a challenge to actually talk meaningfully to the exhibitors as some only has few representatives for the demo/booth. I personally did not get the chance to be entertain by some of exhibitors, because they were already occupied with visitors. My tips is, try your best to come to the Expo as early as you can. We did tried that, and it did helped a bit – though the exhibitors was just started setting up their booth. hehe. Still, the exhibitors were still friendly answering our inquiries and interest! (random) Did not get the chance to take photo with Ms Felicia Brown of Microsoft, Singapore. 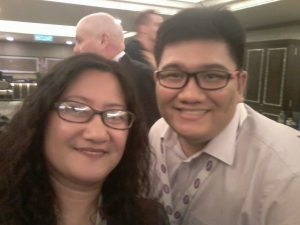 Nicest, awesome Microsoft lady I ever met that helped Brunei educators to be part of the amazing journey. I hope I will have a future opportunity to go to BETT Asia again. If I can go to Bett show in London, that will be diamond as to get wider-global perspectives on teaching and leadership! I really want to enroll myself for Leadership class again. As a government teachers, it takes several business process to take part in oversea event. You need to be sponsored, nominated and permitted by the higher authority. Frankly, it will be weird and crazy if I was to go again to Bett Asia. Some people won’t be please with that, but I need to continue to prove and show that I’m worthy and deserving to attend it again. I believe, I can make differences and be a model or an ambassador of educational technology to the rest of public teachers in Brunei. It’s really great to see private schools in Brunei brought (attended) themselves as a team. 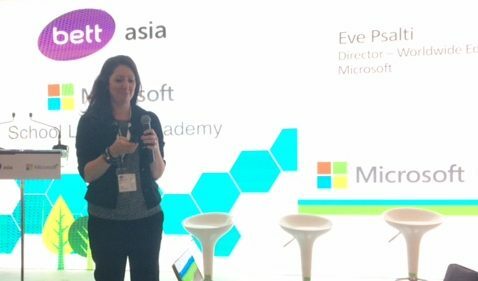 I really wish I can go to Bett Asia or any other educational technology events oversea with my headmistress and my senior academic educator together- so we can really make positive technology enable in our school towards 21st century teaching and learning, from learning best practices over the globe. I want to be the change maker and frontiers in helping all government (public) schools to achieve 21st Century Education, both in leadership and classroom pedagogy strategies. 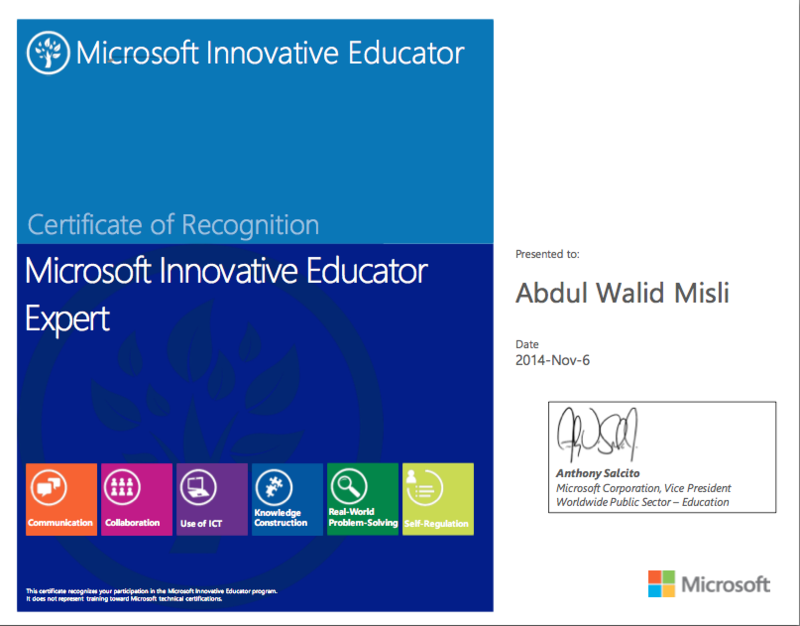 I pledge to strive and be effective Microsoft Innovative Educator in Brunei. Not because I simply love Microsoft, but because of how their solutions can make things easy, effective and better in schools or anywhere. To Microsoft, Mr Anthony Salcito, Ms Eve Psalti, Mr Mark Sparvell, Mr Danial, Mr Azwan of Microsoft Brunei and Ms Felicia Brown of Microsoft Singapore, thank you so much for the endless opportunity and learning journey. To Bett Asia, you guys were awesome! Hope to see you again in Asia or maybe in London some other day! Thank you for everything! Don’t forget to participate in Bett Show near you next year! Last Friday, early in the morning Brunei time, I received an email from Microsoft and stated that I have been chosen to be among the hundreds of teachers all around the globe to be part of Microsoft educator programme called “Microsoft Innovative Expert Educator 2015”. It’s such an honour to be part of the amazing group and amazing education opportunity. Representing Brunei is a huge responsibility and pride – If I got selected to visit Redmond in USA in Spring next year. By God’s Will, I’ll be going there with Secondary School’s teachers. One from government school and one from private school. I’m super excited. true. since the arrival of elearning or mlearning the broadband efficiency are still needed. not only for adult learning but elementary schools and secondary schools requires the same necessities. How will speed, bandwidth and cost will actually comes together as a real beneficial? In campus, I think as substitute of internet; the intranet and local server would be a more pros, however the infrastructure and the server components itself is still needed at best ( and be costly too). I’ve done my online learning.. not once.. beside the matter of the internet.. their infrastructures and the learning (content) materials that was offered.. you may want to look on the audience. When I did mine, I brought my intrinsic motivation.. I like the course, I like the way the lectures sold it.. and when I participated it, I was engaged. But not all participant stayed, not all submitted and not all graduated. And if I was some kind of doctor lecturing in a university (amin), I really wish to do research why the decline of interest on finishing the course. I believe in elearning and the successfulness of it must be linked with content, infrastructures, the ix and iu and the audience (psychology factors) and the “technology availability” bridging the audience to the elearning. Last one.. for elementary level, I’m confident I can create elearning ix and iu.. I can be confident to create elearning that are parallel to our curriculum. I can even create (online) flipped classroom experience.. however.. if majority of my audience/ students doesn’t have access to efficient internet connection or technology to read it, and discipline to use it at home.. then it will be a waste of several elearning spectrum resources. For argument’s sake, lets say we have speedy gonzalez internet, and we have all these online learning tools, we already know that ITU’s 2013 report stated that Bruneian youths are 73% odd “digital natives” and all this lark. We have the perfect storm. The best setup imaginable. Can we then say online learning will be successful? Its how we see online learning purposes and usage. I mention this because, people can see it several ways: Successful online learning because it was built as monument or milestone of 21st education. Successful for education purposes for providing its learning objectives, instructions content and collaboration activities that partnered them with assessments; Or online learning successful because of the high numbers of people enrolled into it (popularity:quantity). And again, the successful of online learning is clearly on how we see it. Because from where I see it, if you want to provide successful holistic education, then online learning is also be part of it.. both increasing participants and how quality the learning instruction and how trustworthy the systems of assessment are and how educators can collect datas and portfolios on learners learning.. Thus the benefit of online learning and achievement of it, is measured by how it can articulate learners’ learning with gathered learning datas.. Imagine in every schools that every teaching staff are passionate to improve their teaching instruction through collaboration between teachers in their school but also given permission to collaborate with other teachers from other schools. It’s not something that should be force, but it is something that schools’ society naturally do – rather hesitate to do collaboration as to see other teachers as competition. I believe these sort of collaboration will gives a lot benefit such as to identify and solve “teaching challengers” to actually help learners and effectively to redesign their teaching towards 21CLD approach. 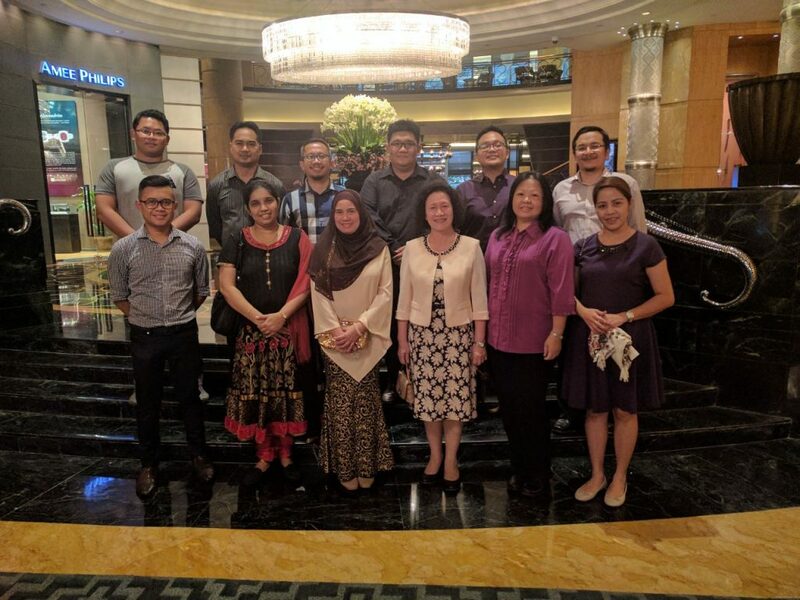 It is common in Brunei to practice Whole Group learning or professional development while also committed to attend workshops and seminars conducted by the Ministry of Education through their varies departments. However, some strategies are yet to be introduce and practice in each school internally or schools within a cluster. These strategies include: Small-Group Training, Teachers observing Teachers and Individual Coaching. Currently, I’m in my three year training (2 sessions every year (2014-2016)) with ClassPoint Consulting (Singapore) on Cognitive Coaching (Individual Coaching) on Assessments for Learning organised by the Department of Schools, MoE. This training will not only help us to effectively give feedbacks to teachers, but also help the coachee to identify their own strength while also helping them to see what they can identify by themselves to improve their teaching instruction. It’s 100% Coachee’s point of view with no judgement by the coach. I’ve tried few times with one of my teacher, and it does help to set goals and improvement in teaching’s instruction! About a month ago, I viewed a video published by Bill & Melinda Gates foundation where Mr. Bill Gates had a chat with Washington State Teacher of the Year Katie Brown. In the video she explained how her school adopted several strategies how teachers learn and collaborate with other teachers. It’s a very inspiring video to all schools and it is clearly proven effectiveness. Ingredient: All teachers want to improve; Open-mindedness; Leaders to embrace collaboration. Giving teachers time to do collaboration. Understand what, why and how to collaborate. What it takes to create innovative classroom? What it takes to be an innovative teacher or creating an innovative classroom? Hear the voices of technology teachers and listen to their passion and enthusiasm. SKOKIE, IL— Technology is transforming education in the 21st century. It’s no longer just confined to the computer labs, but it’s everywhere in today’s elementary, middle and high schools. It has replaced text books, chalk boards, and in some cases, even the entire classroom. Today’s teachers are using social media, apps, iPods, smart phones and other tools not available just a few years ago to educate and engage students. On a cold Saturday in January, hundreds of teachers from across the city and suburbs spent their day off sitting where their students would sit, on the other side of the classroom, for the 19th annual Northern Illinois Computing Educators mini-conference. They gathered at Niles North High School in Skokie to learn more about how to effectively use the new tools and skills. Besides learning from their peers about best practices, they even learned from their own students. Young people, who’ve grown up around the new technology, were among those offering teachers lessons on iPads and apps. The three R’s of reading, writing and arithmetic are still an important part of the school curriculum. But technology is transforming the way students learn and the way teachers teach. I was doing research for my writing that relates to the idea I wish to share. I found this teacher who I felt like a double of me. Minor obsessive compulsive management, weird, strict, verbal, awkward and freaky at time. Silent is gold and important part for both teaching & learning.. Personally, within 9 periods a day of children – I believe silent learning but not passive learning is important to culture discipline and a moment of deep focus learning a.k.a no distraction. A lot of management tips and tricks can be learn from this teacher. Why do you think about his purpose of doing it like this at the beginning of the school year? Watch to the end of the video, there’s a point to that. They are my partners in learning, you should too. "Empower every students, teachers and every schools on the planet to achieve better!" My edited version of Microsoft's mission of Empowerment. I'm Alid Misli. 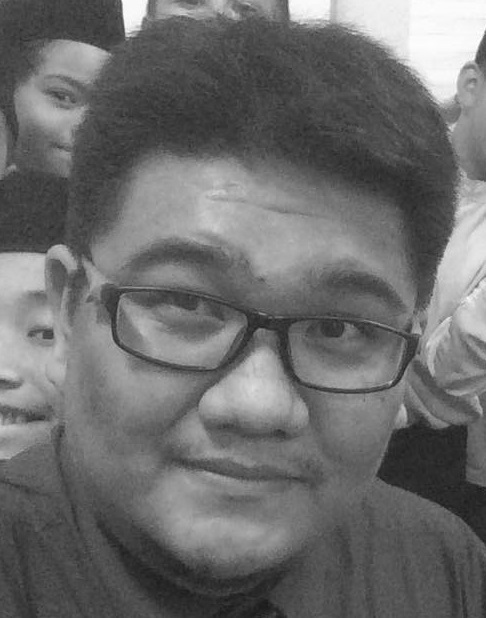 Microsoft Innovative Educator Expert from Brunei. 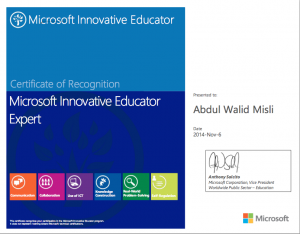 I've been introduced and has been part of Microsoft Innovative Educators Program since 2011. In 2015, I was legally declared as Microsoft Certified Educator in Redmond, USA at Microsoft HQ. My passion is Innovative Teaching and Learning to foster 21st Century Skills to young learners.